increasing public awareness on Kidney failure and conducting health screenings. Before 2004, NKF was a high-profiled charity organization in Singapore with strong support from the public. 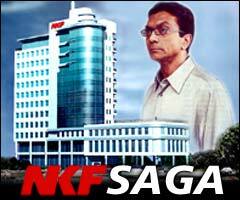 However, NKF was embroiled in a scandal when it was revealed that Mr. T.T Durai, then CEO of NKF, enjoyed lavish perks and was involved in fraudulent practices resulting in a scandal. Eventually, NKF retreated from the public eye. A decade later, NKF returns from its self-imposed exile. However, currently, the public has very low interest and awareness of NKF. While NKF has put in efforts like Sit-A-Thon public events to promote awareness, these efforts were largely ineffective as donation numbers dropped to an all-time low of $20.7 million. After understanding the background of NKF, we wanted to investigate how NKF can leverage the various social media platforms to increase its donations, engagement and build positive brand perception. Millennials in Singapore aged between 24 and 35. Volunteering makes me feel good! High social media usage & avid sharing of social causes on social media due to their desire to seek social credit for their “good” deeds (The G. Brief, 2016). NKF was one of the charity organisations they are aware of, however awareness of its activites are weak. What’s wrong with current strategy? What’s the gap and the objective of our recommendations? Low performance in reputation and social media interaction. Under the proposed campaign slogan, “Enable Health”, the key message is that prevention is better than cure. The campaign aims to promote healthy living and help the needy overcome their health issues. The overall campaign comprises of 3 strategies, Branded Content, Viral Content and Offline Activation. A fictional “food-blogger”, Natasha, will be created in Instagram to showcase her fictional life. Curated content will be added regularly to “build” Natasha’s character. Photos posted will feature Natasha eating delicious-looking but unhealthy food, accompanied by interactions with other Instagrammers. Once Natasha’s fan-base is sufficiently substantial, an announcement will be made through a viral video, revealing the true intent of the fictional character “Natasha Kevin Fong”: to spread awareness that we do not think much about our unhealthy eating habits and that for each “Like” Natasha gets, we are enabling ourselves to indulge in unhealthy food which potentially cause diseases. Through this campaign, we aim to empower our target audience to make a decision on their own to lead a healthy lifestyle, and for the press to pick up this story. Lastly, to answer goal # 3 to build positive brand perception and increase donations, we will adopt offline event activation. To organise a yearly carnival called “Healthscape Fest”, targeted at health conscious millennials. NKF can collaborate with booth vendors on a profit-sharing model. % of sales proceeds will go to fund NKF and its activities. The event is also supported by social media integration, complementing both offline with online marketing: By “Liking” and “Following” NKF’s social media pages, people can get a free polaroid at the “Dat Boothie Photo Booth” during the carnival, which will result in thousand of free impressions and publicity. How effective are our ideas in solving the problem? All in all, our strategies aim to achieve the aforementioned objectives to resolve the 3 main issues NKF have. Admittedly, these strategies comes with risks and limitations which are unavoidable. For instance: Strategy 2 of Natasha Kevin Fong might be slow to pick up and might not garner mass interest. Success of the campaign may also be uncertain as such ideas have not been adopted locally before. However, given millennials’ culture of food-obsession, it is not impossible to form a strong basis for attracting followers. As for strategy 3, while it was aimed to address NKF’s weak engagement with external stakeholders by organizing a festival for all, there might be many logistical issues for NKF’s small marketing team to undertake, and NKF might not have enough funding to organise a big scale event. While difficult, the proposed strategy is not infeasible. Event planning can be out-sourced to events management companies and corporate sponsors are available. We discussed topics such as network effects, diffusion of innovation and the evolving trend of corporate landscape through social media in Week 3’s session. I was particularly interested on the case about online activism to boycott A&F due to its CEO’s discriminatory press release. While there is nothing wrong about segmenting and targeting the consumer market to differentiate from the competitors, it is the way that these messages are executed and delivered that matters the most. The CEO was apparently oblivious about the power of word-of-mouth in today’s connected world. Negative sentiments can spread like wildfire and create a dent in a company’s reputation if not contained. However there is another approach to publicity that is “all press is good press!”. This is especially evident in Donald Trump’s campaign for the Presidency. In fact, it is the way he conducted his entire career; often being in the spotlight for expressing controversial opinions. Prof Q brought up a good point that this approach will work depending on the context, and brought up Burger King’s campaign to reward facebook users a free whopper if they deleted 10 friends from their friends list. The entire campaign hinges on the insight that we sometimes have too many redundant “friendships” on social media. This may or may not work well depending on the context of culture. In a place like Asia where “giving face” or “not losing face” are part of our social attitude, deleting a friend (and having it being announced) would be considered rude. Little people would court controversy for themselves like this, rendering this campaign a failure. I think that other than context, what is most important for companies to craft compelling messages is their ability to align the messages to their audiences beliefs and attitudes. It is often not about the content/intent of the message, but the way it is delivered and to whom it is delivered to, that is the most crucial in building brand reputation/affinity.